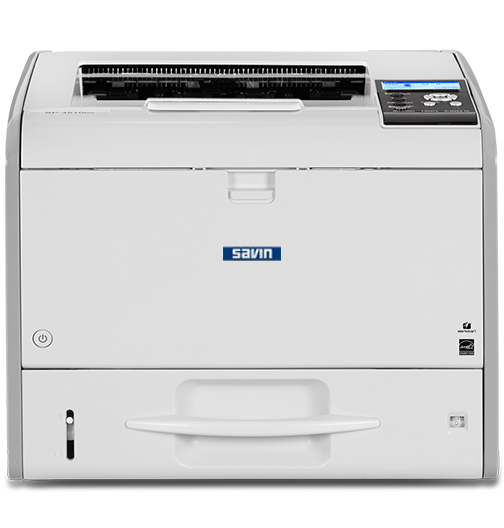 The SP 4510DN Black and White Printer features a powerful controller with an optional 1 GB of RAM to make short work of long projects, simultaneous print jobs and large files. Engineered for speed, you can print up to 42 pages per minute and recover from sleep mode in less than 10 seconds. Add up to two 500-sheet paper-feed units, and you can increase paper capacity to 1,600 sheets to truly speed through print jobs.